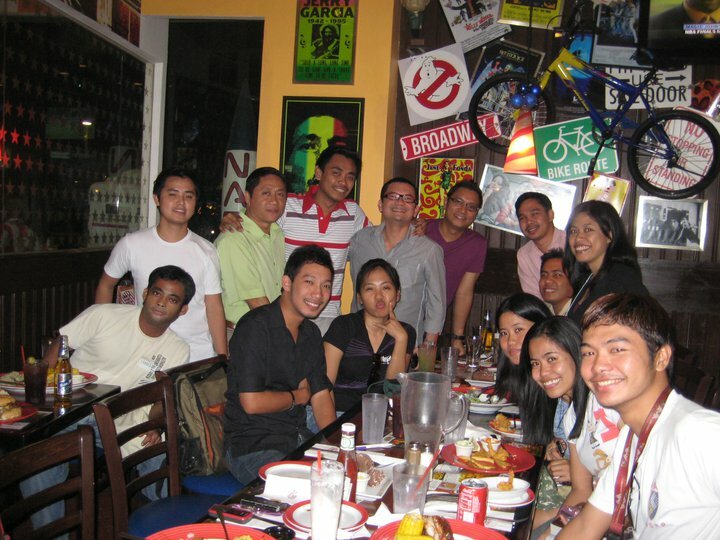 The Yahoo PH team, headed by Mr. Jack Madrid, Yahoo Philippines Country Manager, and Mr. Erwin Lemuel Oliva, Yahoo PH’s Chief Editor, initiated the very first Yahoo meet-up here in Cebu last 2nd of December 2010 at TGI Fridays, Ayala Center. Yahoo Philippines will be launching their new website features and services for the year 2011. As part of their nationwide launching, they invited technology bloggers here in Cebu to assess the online information needs of the Cebuano internet users. Yahoo PH recognizes the relevance of Cebu’s online scene to the general cyber community in the Philippines. Yahoo PH, a division of Yahoo Search (one of the leading portals and search engines in the world), is a content-oriented website dedicated to serve the online information needs of the Filipino people. Early this year, Yahoo PH had successfully launched their Purple Thumb, an election website that focuses on teaching Pinoys how to vote automatically last May 2010 election. The website started covering news from the start of the campaign period to the day the elected president made his state of the nation address. Yahoo PH focuses more on building local relevant content dedicated to the 29,700,000 million internet users in the Philippines. Last November, they did a full coverage of Manny Pacquaio’s boxing fight through live blogging. This, according to Mr. Jack Madrid, changes the way Filipino follow a fight or a game. On the year 2011, Yahoo will be launching it’s official entertainment portal, OMG! PH. Yahoo PH sees entertainment as one of the most important parts of the Filipino way of living. Fit to Post, Yahoo PH’s official blog, will also be launched next year. This blog site features regionally relevant contents to its audience. Fit to Post is composed of a team of expert bloggers all around the Philippines. And, another big collaboration every search user should watch out for next year, is the partnership of the two biggest internet search engines: Bing and Yahoo Search. These two internet innovators will combine forces to fully compete with Google in the search engine market game. Yahoo PH has more exciting surprises for the Filipino people next year. Aside from partnering with Microsoft’s Bing, they are also inviting bloggers all around the Philippine archipelago to become contributors of their official blog-site, Fit to Post. They recognize the importance of bloggers in disseminating useful information online. Good thing you have this informative article that explains why Yahoo! PH met with Cebu Bloggers. I just read some content articles on Google news and it looks that up coming yr will be trully a good 1 for freelancers. more and much more organizations are looking for versatile hiring opportunities and also the freelance market may be the excellent goal.